Vancouver, consistently ranked as one of the most livable cities, has much to offer beyond a vibrant social environment, the “City of Glass” is known for its buildings of transparency and for its breathtaking surroundings of clear water and snow-covered mountains. But, like many cities today, its skyline is dominated by verticality – extrusions of generic towers that don’t engage their environment and create isolation rather than connection. 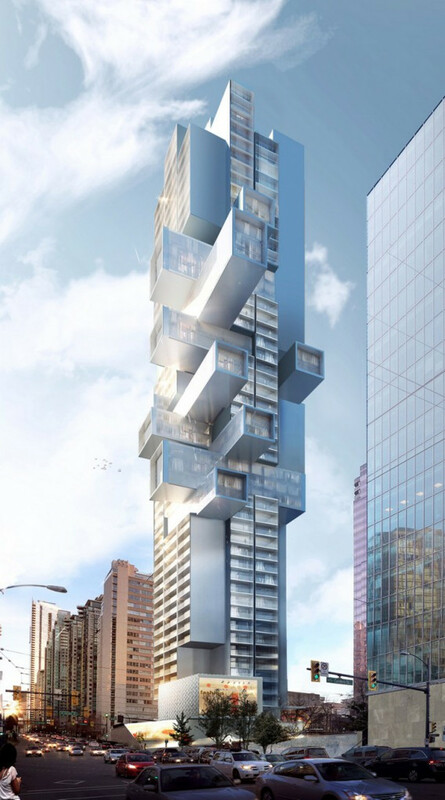 The design opens up the inert shaft of the tower to embrace both city and nature in a three-dimensional sculpture which projects the space of living outwards into the surrounding context. 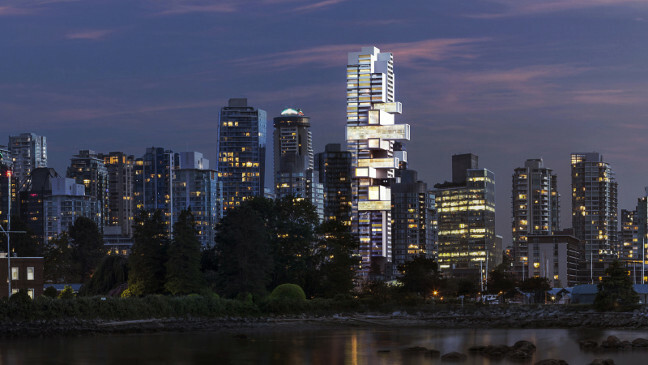 Located on one of Vancouver’s main avenues, the tower stands as a new beacon at the entrance to Vancouver from the North Shore and Stanley Park and forms an urban pivot at the junction where the city’s grid splices and begins to expand from the West End to the diagonal along West Pender Street into the Coal Harbour waterfront and downtown Vancouver. Its position at the crossroads between the City to the South, Stanley Park to the North, and the waterfronts to both the East and West calls for a multidirectional design that capitalizes on the urban and natural qualities at this important site in the West End. The design of the building presents a carefully crafted distinctive silhouette that reaches out to engage the space of the city and stands as a new beacon that activates the skyline. 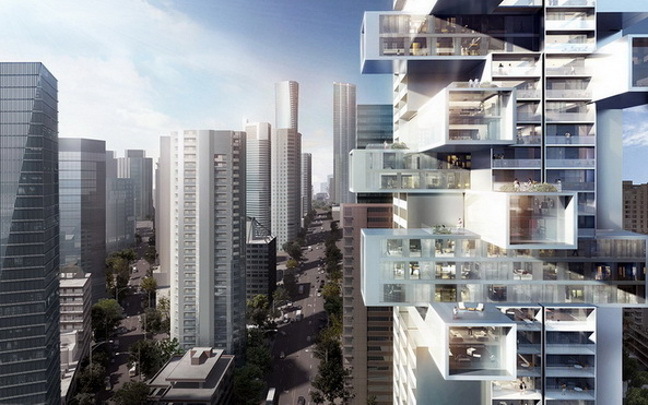 The tower opens up to embrace both city and nature in a three-dimensional sculpture, projecting the space of living outwards into the site’s surroundings, responding to the multi-directional context while respecting views to and from neighbouring buildings, and maximising unobstructed views to the surrounding water, parks, and city. Special consideration has been given to maintaining existing spatial qualities while enhancing and reinvigorating aspects of the public plaza and its heritage. As a special place in the city for Vancouverites who have fond memories of the existing office building and water cascade by architects Rhone and Iredale, the design retains the modernist Crown Life Place and enhances the qualities of the site and respectfully translates the original character, while offering new possibilities to the community. The minimised footprint of the residential tower touches the ground and embeds itself into a multi-level water landscape.